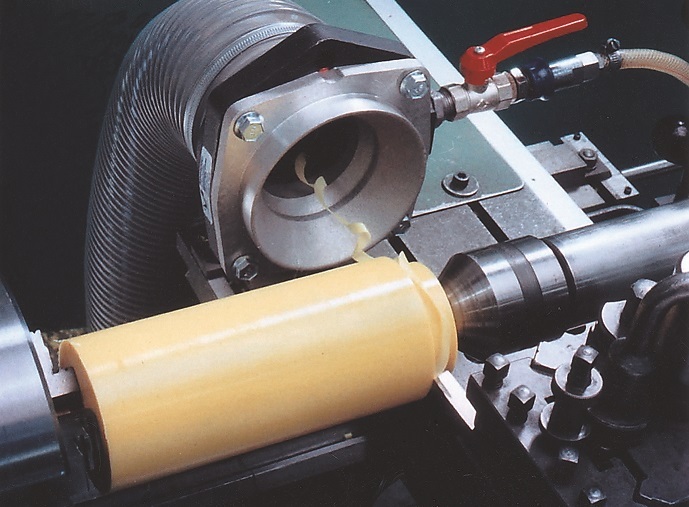 Vortec offers its family of air flow amplifiers that quickly and efficiently convey powders, plastic pellets, capsules, small parts, and components, as well as remove dust and convey waste trimmings from manufacturing operations, extract sawdust from cutting and sawing operations, and remove chips from machining. With no moving parts to wear out or break down, these air conveyors are inherently safe. High-flow, bladeless blowers take ordinary compressed air and amplify it up to 60-fold, in un-ducted applications (12–20-fold amplification in ducted applications). They are easily mounted, ducted, and moved, and with adjustable airflow and output they can be tailored to the project at hand. With no electrical requirements, they can be mounted wherever there is compressed air. Quiet operation meets OSHA noise requirements. The air flow amplifiers deliver flow rates from 32 to 2300 SCFM. Aluminum housings are standard, with stainless steel available for aggressive environments. In addition to conveying parts or removal of dust and waste/scrap materials, they are also used for ventilating and exhausting welding fumes, soldering and machine smoke, tank fumes, and other gases.